Get ready for a roaring bath-time adventure with DOY Kids Soap in fun King Samba the Lion character. He is true friend indeed and loves making up new & exciting games to help your little one squeaky clean. Now bathing time will be a fun experience for your little one using these DOY Kids Soaps Samba.DOY's creamy cleansing bars are specially formulated moisturizing soap bars enriched with Natural Milk Cream and Shea Butter making it ideal for children's sensitive skin.Doy soaps cleanse skin effectively. They work up a luxurious rich lather, hydrate the skin and lock in moisture, leaving your little one with soft, supple and nourished skin all year round. 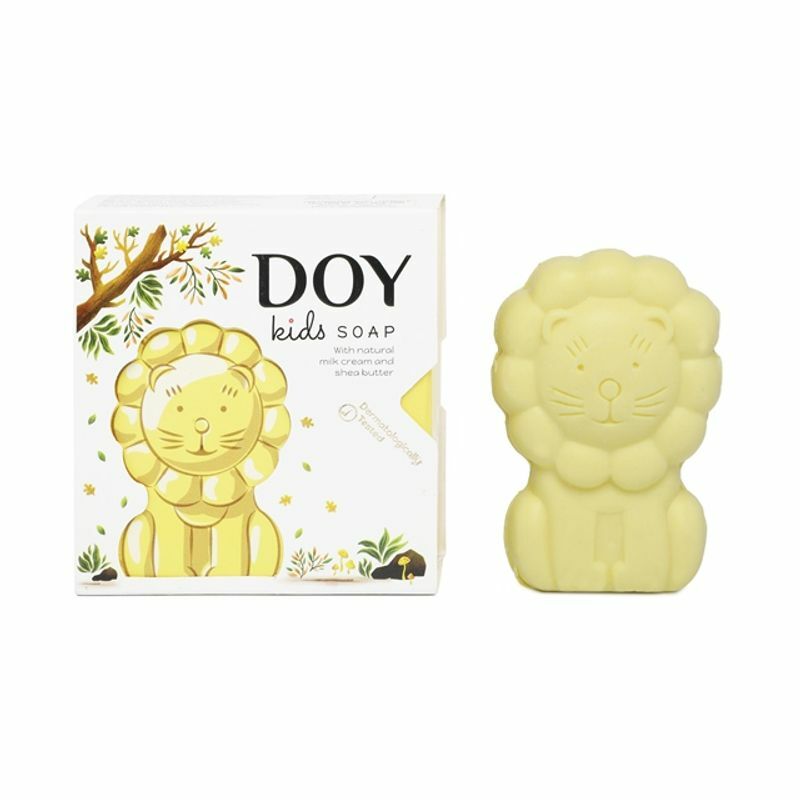 Now available in fun animal shapes and characters and fresh fragrances, DOY Soaps will leave your kids skin dirt-free and fresh all day long.